Brexit Betting, Latest Odds, Free Bets and Offers. When Will Britain Leave The EU? Brexit has caused more political and social turmoil than any other event in the last generation. Despite Theresa May’s government finding a mutual position with the EU that deal was rejected by the British parliament on the 15th January 2019, with just over 10 weeks before the country was due to leave. The future outcome Brexit and Britain’s relationship with the EU is, at the minute, anyone’s guess. If 650 MPs can’t even agree on a way forward it means it is almost impossible for anyone to know the likely outcome right now. Where there is uncertainty however in betting markets there is potential to get some great odds if you are confident you know what the ultimate outcome might be. For bookmakers to accurately price markets they must have precedent and solid information to base odds on, and in the case of Brexit this is distinctly lacking. 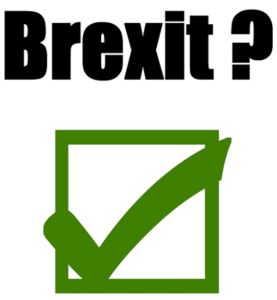 On this page we look at some of the best opportunities for betting on Brexit, a no deal scenario, revoking of article 50, delayed leaving, not leaving at all, another in/out referendum along with the results of subsequent parliamentary votes. If you would like to see more about betting on the next General Election please see our dedicated page. New customers only, place £/€10 bet on any Sportsbook market — min stake £/€10 at odds of at least 1.5 (1/2) — and get 3 x £/€10 in free bets. Only deposits made using Cards or Paypal will qualify for this promotion. Full T&Cs apply. In January of 2013 the then Prime Minister of the United Kingdom, David Cameron, was giving a speech at Bloomberg. During this speech he happened to mention that he would be in favour of launching an in-out referendum on the UK’s membership of the European Union. In essence his hope was that victory in the referendum would silence the Euro-skeptics in the Conservative Party who had long been a thorn in his side as the premier. In the build-up to the 2015 General Election the Tories added the idea of giving the people a voice on membership of the EU into their manifesto. When the Tories then won the election, it became obvious that they would have to stick to their campaign promises and offer a referendum on membership of the European Union unless David Cameron could renegotiate certain aspects of the country’s membership. He failed to do that, so on the 22nd of February 2016 the Prime Minister announced confirmation that a referendum would take place on the 23rd June that year. 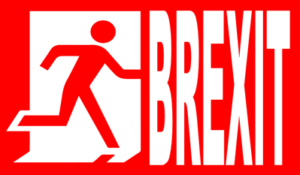 Brexit is the shortened term given to (Br)itain’s (exit) from the European Union. The European Union, of course, is the coming together of 28 countries in order to allow them to trade with each other and have their citizens travel and move freely between all of the countries involved. The United Kingdom originally joined the European Union in 1973 at a time when it was known as the European Economic Community. The reasons for some wanting to leave the EU are numerous and complex in nature, with one of the biggest ones being a feeling that Britain is made to follow EU laws whether they like it or not. 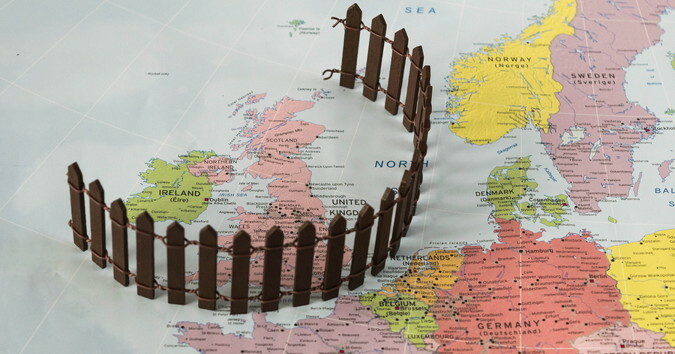 One of the other major topics of debate around the time of the referendum was to do with immigration, with many unhappy that Europeans are free to come and live in work in the UK as long as we’re part of the European Union. 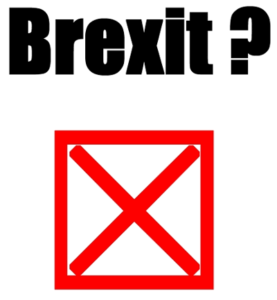 UK citizens took to the polls on the 23rd of June 2016 to vote in an in-out referendum on Britain’s continued membership of the European Union. That is to say, voters could either elect for the country to Leave the EU or Remain in it. Leave won the vote with 51.9% of the vote compared to the 48.1% voting for Remain. In numerical terms, that was a victory of 17.4 million to 16.1 million, with each individual person’s vote counting. In the wake of the vote to leave the EU the Prime Minister David Cameron decided to resign his position. Having called the referendum in the first place, Cameron had campaigned to remain in the European Union and felt that it was not right for him to be the person to lead the country into its exit. In the wake of David Cameron’s resignation, the Tory party had a leadership election that resulted in the former Home Secretary Theresa May becoming the new Prime Minister. Despite also campaigning to Remain, May was considered to be the best bet to lead the country moving forward. She promptly announced that there would not be a General Election, in spite of the fact that she did not win an election with the wider country, just the members of the Conservatives. Theresa May outlined her plans for the country’s exit from the EU, including prioritising negations on security, workers’ rights, immigration and free trade. The Supreme Court looked at the law surrounding Brexit and confirms what the High Court had already said: that Brexit can be halted if the majority of MPs oppose it happening. The government produced its so-called White Paper, which is essentially an official report, on the direction that it will take in negotiations with the EU. The Treaty of Lisbon is an agreement between the countries of the EU that forms the bloc’s constitutional basis. It was signed in 2007 and came into force on the 1st of December 2009. Article 50 of the Treaty allows a member state of the European Union to withdraw from it voluntarily upon the reaching of an agreement between both parties. By triggering Article 50 in March of 2017, Theresa May began a process that gave the United Kingdom 2 years to negotiate its exit from the EU. Despite insisting from the moment that she became Prime Minister that she was a legitimate leader of the country and no election was necessary to ensure that, Theresa May decided to call an election amidst growing pressure, with the election to be held on the 8th of June. Theresa May believed that she was in a position of power when she called the general election, feeling that an increase in her majority would ensure a stronger hand in the Brexit negotiations. Instead the Tories lost their majority and would have been out of power if not for a decision to form a government alongside the Democratic Unionist Party of Northern Ireland. 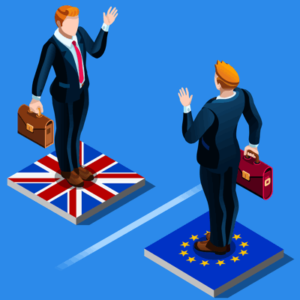 The negotiations between Britain and the EU regarding the former’s departure from the Union began on the 19th of June 2017 but end in deadlock. Theresa May gave a speech in Italy in September of 2017 in which she chose to outline the most important issues in the Brexit negotiations from the UK’s points of view. The main factors at hand were the amount of time the UK would be allowed to transition from being in the EU to no longer being a member, known as the transition period, leaving the single market, the fishing grounds that British fisherman could fish in and the border between Northern and Southern Ireland. Members of the Conservatives voted alongside opposition MPs to guarantee themselves a say on the final deal struck with Brussels, meaning that the Prime Minister can’t simply decide on her own whether the deal is good enough. In March of 2018 there was finally a breakthrough in negotiations as Britain and the EU were able to agree one some of the key issues. That included the status of European Union citizens living in the UK. Around 700,000 people take to the streets of London to protest against Brexit and asking for a second referendum on the matter. The largest such protest since 2003 when hundreds of thousands of people marched in opposition to the war in Iraq. Despite its size the march did nothing to sway political opinion with the Prime Minister or within her cabinet. The message staying as we must honour the peoples vote to leave the European Union. In November of 2018 the government released its Withdrawal Agreement, in which the nature of the UK’s exit from the EU was outlined. It was referred to as the ‘worst of both worlds’ by some MPs, angered at the things that May’s government had agreed to. In the wake of the announcement of the Withdrawal Agreement, a number of Tory MPs chose to resign in protest at the government’s handling of the negotiations. Arguably the most significant MP to resign was Dominic Raab, the Brexit Secretary who has been partially responsible for the negotiations. 10 days after its publication, leaders of the countries within the EU confirm that they will officially endorse the agreement proposed by the UK. The deal, however, needs to be ratified by the British government. In order for the Withdrawal Agreement to become law, it needed to be ratified by parliament. It was clear from the objections of countless politicians that it wasn’t going to succeed, so the Prime Minister decided to pull the vote in order to try to gain some reassurances from EU leaders. In order to trigger a Vote of No Confidence in a Prime Minister of the Conservative Party, critics of the PM must be able to get 48 demands for their removal. This threshold was reached on the 12th of December, triggering a vote from members of the Conservative Party who voted 200-117 in favour of her remaining in power. Having withdrawn the vote on the Withdrawal Agreement in mid-December for fear of it being beaten, Theresa May confirmed that the vote would take place on the 15th of January 2019. She then spent time trying to convince members of her own party that they should vote in favour of it. The government suffered one of its biggest losses ever on the 15th of January 2019 when MPs voted 432 to 202 against the Withdrawal Agreement. Immediately after the result was confirmed, Jeremy Corbyn tabled a Motion of No Confidence in Theresa May as Prime Minister. Lose the vote and it would trigger an election if no alternative government could be formed. Jeremy Corbyn will have been forgiven for thinking that the fact that 117 Conservative MPs voted against Theresa May in the Vote of No Confidence in her leadership from within her own party, combined with her Brexit plan suffering the largest defeat of any modern government, might mean that she’d struggle to survive one from the House of Commons as a whole. He was wrong. May’s government survived, winning by 19 votes thanks to a tally of 325 to 306. In the wake of the vote a representative of the Democratic Unionist Party, with whom the Conservatives made an alliance in order to form a government after the snap general election in 2017, made the point that the Tories would have lost the vote without their support. Theresa May went back to the EU to secure additional assurances on the backstop agreement in the hope this would persuade the DUP and factions of the Tory party to vote for her deal. Many felt there was no substantial change to the deal from a legal perspective. The deal was voted down for a second time, not quite as heavily, losing this time by 149 votes, but still a damning rejection of the current deal. The EU has agreed to give the UK potentially until the 22nd May to leave the EU, this is conducive on May getting here deal passed at the third time of asking. This date has been selected as it is the day before voting begins for EU parliamentary elections begin, which of course the UK government does not want to be part of. If the deal is not agreed yet again, as is expected, the UK will be forced to leave on the 12th April without a deal, unless the UK can provide the EU with ‘a way forward’. Many expect this would be another referendum, perhaps asking the people if we would like to leave with May’s deal or no deal.